Budva is a 2,500-year-old seaside town that’s famous for its vibrant nightlife, beautiful beaches and the well-preserved old town of Budva. Tourism is one of Budva’s major income streams and the city is filled with hotels, brand new apartment buildings, construction sites, and casinos. While most restaurants, bars, and shops were open, it became apparent that we visited Budva during the off-season as most restaurants and bars were deserted. If you value a great nightlife and beautiful beaches then Budva in the spring and summer is definitely for you. Do I value those things? Not so much. Budva to me appeared to be asleep, just waiting for the next boatload (quite literally) of tourists. 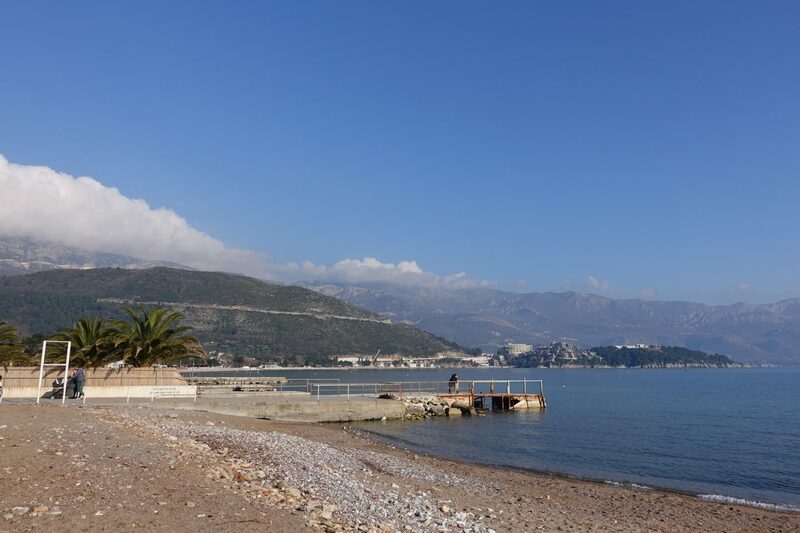 Nonetheless, it’s a sweet place to explore for a day or two and here are four things you can do while staying in Budva. Budva’s old town was heavily hit and damaged by an earthquake in 1971. It was then reconstructed over an 8 year period and is one of Budva’s main attractions today, attracting heaps of tourists every summer. In the winter months, the old town is deserted and I was a little put off by the huge amount of souvenir shops and clothing stores that are lining its streets. It just didn’t feel quite right. The Budva Riviera is a 35km long coast surrounding the city with one beautiful beach after the other. There are apparently at least 17 named beaches that are just waiting to be explored. I visited during the winter and greatly enjoyed just taking a breather and listening to the waves. Budva features a handful of lovely walking trails and The Seven Bay Trail is perfect for anyone staying in the city for a couple of days. The walk is 7 kilometers (4.3-mile) long and features stunning beaches and ends at Sveti Stefan, an expensive hotel resort. Sveti Stefan is a former fishing village turned resort and the island is now closed to non-resort guests. The resort is part of luxury resort operator Amanresorts and named Montenegro’s most photographed site. It was fairly easy to grab vegan pita filled with potato in Sarajevo and proofed to be rather difficult in Budva. 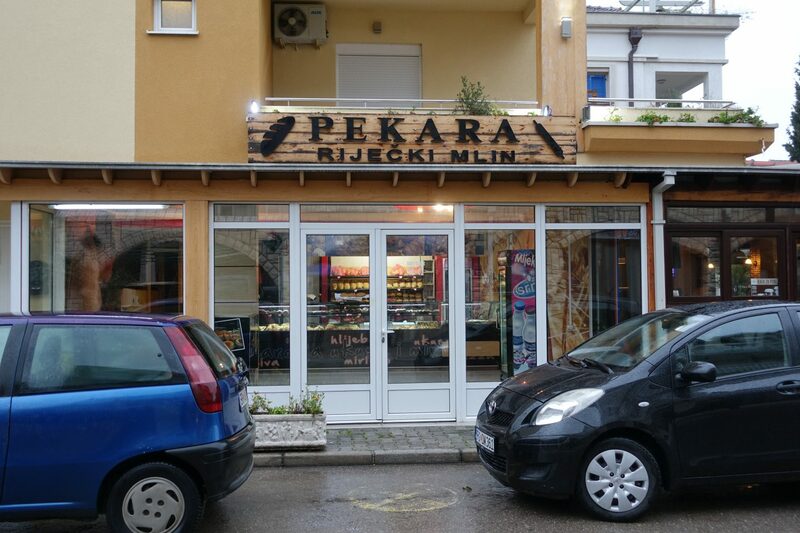 We checked with lots of bakeries and none of them seemed to have pita filled with potato, except for Pekara Rijecki Mlin. We grabbed a gigantic pita from this place almost every day. It was that good. Unfortunately, I was only in Budva for a very short time and the weather was, how can I put it, crap. Hence the lack of photos. I was really looking forward to walking The Seven Bay Trail and decided not to do it, due to safety concerns, as it rained and stormed heavily. I just like the valuable info you supply on your articles. I’ll bookmark your blog and take a look at again here frequently. I’m fairly certain I will be informed plenty of new stuff right right here! Best of luck for the next!